The City Council is expected vote on a 1-year moratorium on redevelopment of Seattle’s last mobile home parks. “I don’t know where we would go,” a resident said. Lewis Hjorten was going to celebrate his 92nd birthday this past Tuesday with his neighbors from Halcyon Mobile Home Park. Instead, Hjorten and his friends bused to Seattle City Hall, where they begged the City Council to save their modest but affordable community. Fear had shaken the North Seattle neighborhood in July, when residents learned their park had been put up for sale, and again last month, when a real-estate developer submitted a preliminary plan with the city to replace the 76-home site with about 200 new townhouses. Leveling the 7.5-acre park tucked between Aurora Avenue North and Haller Lake, the residents told the council, would rip apart a valuable social network, displace more than 80 seniors and people with disabilities, and likely result in many people becoming homeless. 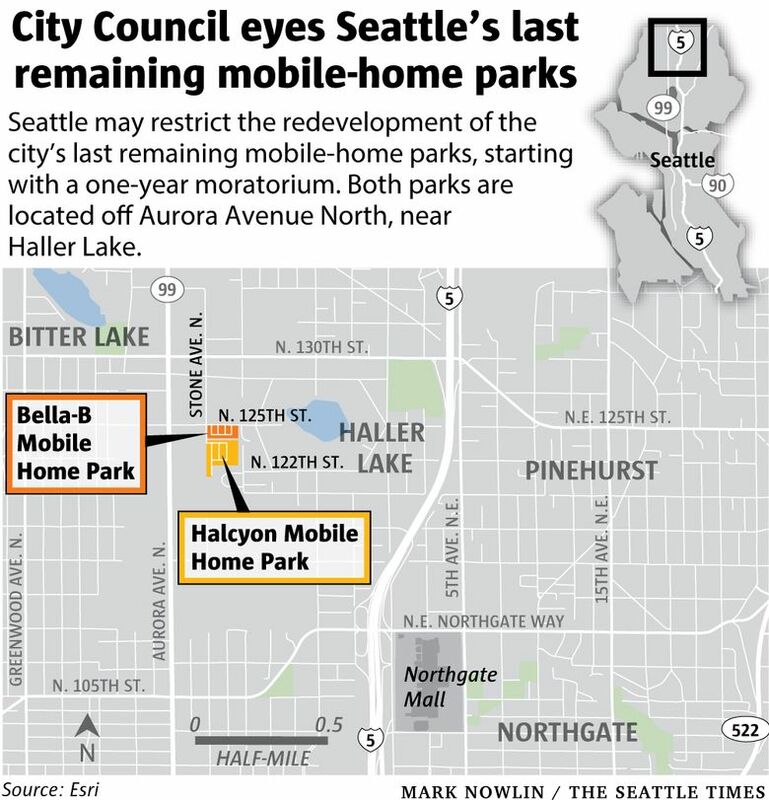 Halcyon and the smaller Bella-B Mobile Home Park, operated next door by another owner, are the last such parks in Seattle, and most Halcyon homes are too old to move — remnants from a time when the city was less glossy, but cheaper. “I don’t know where we would go,” Hjorten said. The terror has abated since then, with the would-be developer walking away rather than handle the site’s environmental problems and with the council scheduling a vote Monday to impose an emergency, 1-year moratorium on all mobile-home park redevelopment in Seattle. The bank that controls Halcyon may decide to sell to a mobile-home park operator rather than a developer. But the Halcyon neighbors say they want to keep the pressure on until they’ve won a permanent solution, like a zoning change designating the site for mobile homes only. Some other cities, including Spokane and Portland, have created special mobile-home zones to prevent displacement. For Seattle, preserving a community that caters to low-income seniors should be a no-brainer, the residents say. Perhaps, they say, a nonprofit could take over the park and cap their rents, which have increased in recent years. Residents met Friday to discuss options with Councilmember Kshama Sawant and re-establish a homeowners association. Many of the region’s mobile-home parks already have closed, those that remain in the suburbs are crammed, apartment rents are sky-high and public-housing lists are long. The park is about 60 years old. Residents describe Halcyon as a particularly caring community, where neighbors share meals, help each other with repairs, watch pets and give each other rides to the doctor. Most homes in the park must be occupied by people over 55 years old, according to rules set down long ago, and many Halcyon residents are retirees from local companies such as Boeing and Nordstrom. Born in Ballard, Hjorten worked as a commercial fisherman, chasing salmon and tuna from Alaska to Mexico. Chase’s husband is a decorated Vietnam War veteran with disabilities. Several residents have lived in the park for decades, while others are recent arrivals seeking refuge from Seattle’s housing crisis. They own their homes but rent their slabs; many residents pay about $650 per month. Halcyon may not be pretty: Its streets are narrow and bumpy, and the homes squat close together. But residents say they feel safe inside the park and say the setup has helped them stay independent. Bob Holley, 70, builds small wooden boats in his backyard. Moving to an apartment building or senior complex would mean giving up that hobby. “Are you going to warehouse seniors or house seniors?” he asked. Renee Hagen was homeless, living in an unheated tool shed, before she made her way to Halcyon, she informed the council. Now she grows fruits and vegetables in her garden to help neighbors get by, she said. “Every community should be able to have what we have,” Hagen said. Mobile-home dwellers usually are vulnerable because they rent their land; in some cases, companies use mobile-home deals to prey on poor people. 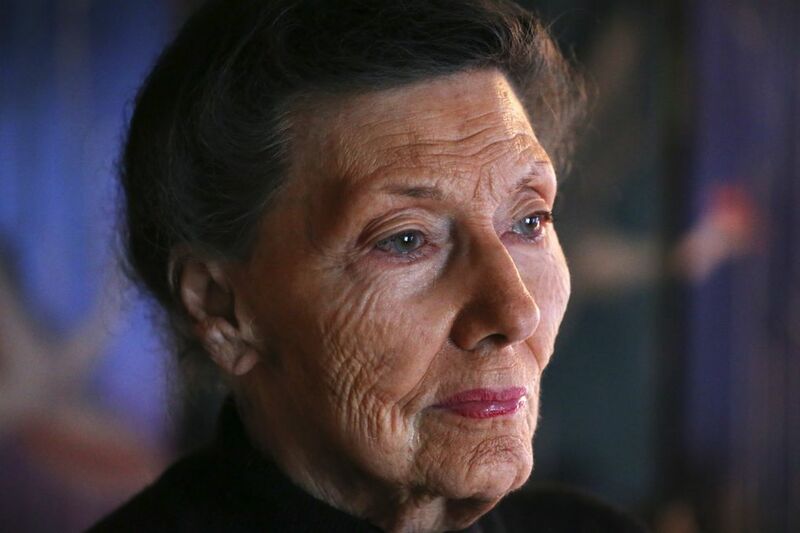 But Halcyon residents thought they were mostly secure because original owner Hester McLaws, who died in 1979, included the park in her estate’s trust, which supports University of Washington nursing-school scholarships. McLaws appointed a friend as co-trustee with her bank and another friend as the park’s manager. Real-estate agents who marketed homes at Halcyon, Micklesen said, told buyers the property would never be sold. That’s why her neighbors were blindsided when Kidder Matthews brokers listed the property in July, asking $22 million and describing the site as large enough for townhouses or a corporate campus. The site now could accommodate new buildings of up to 40 feet. That could increase to 55 feet under a plan the council is considering to allow taller buildings in neighborhoods across the city. When a heart attack killed one Halcyon resident last summer and stress sent another to the hospital, Micklesen blamed shock over the news, she said. Some residents used retirement savings to buy their homes, and have no cushion left. U.S. Bank apparently now holds sway over the trust and park. The brokers didn’t return calls. A bank spokeswoman declined to comment. The nursing school continues to receive money from the trust (about $99,000 in 2016, $6,000 in 2017 and $9,000 last year) but has no power over the site, said Sally Clark, the UW’s community-relations director. Alarm bells rang again at Halcyon in December, when the Daily Journal of Commerce spotted and wrote about the townhouse plan submitted by Kirkland-based developer Blue Fern, prompting residents to seek help at City Hall. While Councilmember Debora Juarez began looking into the trust, Sawant made noise, printing protest signs for the residents and holding a meeting about their plight. This past Tuesday, Sawant introduced legislation to temporarily prohibit redevelopment at Halcyon and Bella-B, which accommodates families. She sought swift action, warning her colleagues Blue Fern could soon nail down rights to develop the Halcyon site. “A lot of people, they’ve got no place to go and they’re not moving. They’re going to chain themselves to their trailers and stay there,” resident David McIlvene said. Juarez said the situation might not actually be so urgent and chided her colleague for stoking anxiety. But the council ultimately agreed to an expedited vote, as Sawant compared the Halcyon campaign to her push last year to protect the Showbox concert venue from demolition. 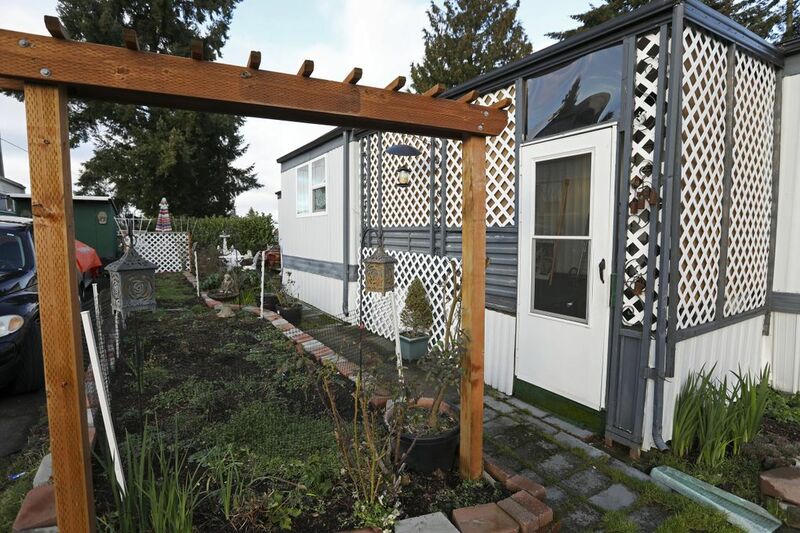 “We have to act quickly,” she said, arguing the council ultimately should preserve Seattle’s mobile-home parks by permanently changing their zoning. Blue Fern withdrew its development plan Thursday, and CEO Benjamin Paulus said neither the company nor its affiliates are under contract to buy the property. Megan McKay, the architect for the plan, said the developer decided to abandon the endeavor earlier this month after learning environmental cleanup would carry a multimillion-dollar price tag. Before Halcyon was established, the area was used as a dump. “The costs were too great to make the project pencil,” McKay said. Evictions may no longer be imminent at Halcyon, but advocates for mobile-home dwellers say the time is right for the city to take a stand. Since she began work on the issue decades ago, lawyer Ishbel Dickens has watched seven parks bulldozed in Seattle and others in nearby cities. University Trailer Park in Lake City was the most recent, closing in 2017 to make way for townhouses. Five parks closed last year statewide, and residents of the Firs Mobile Home Park in SeaTac have battled to stay. The state provides displaced mobile-home residents with up to $12,000 in relocation assistance. 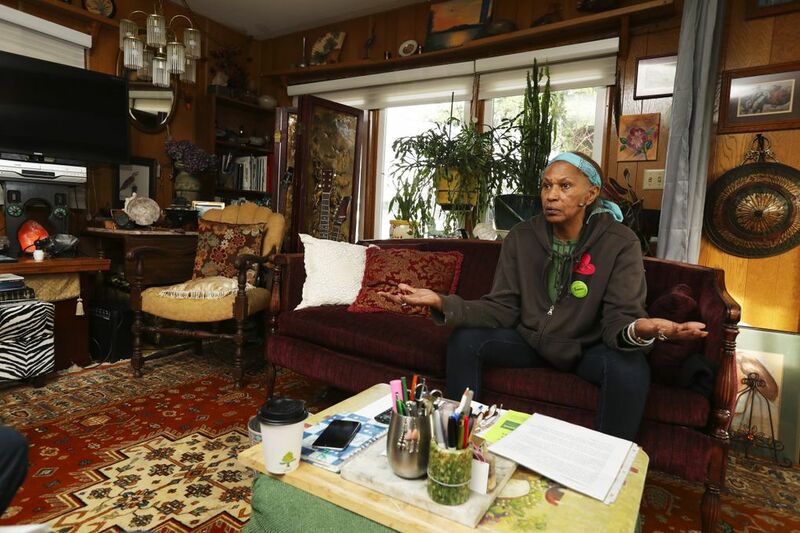 But many residents in doomed parks lose their equity because they can’t sell their homes and struggle to recover, said Dickens, who helped persuade Seattle’s council in 1988 to adopt an emergency moratorium on mobile-home park redevelopment. The city could and should have rezoned the communities then but didn’t, she said. “Most politicians don’t like these parks. They think they’re eyesores,” Dickens said. 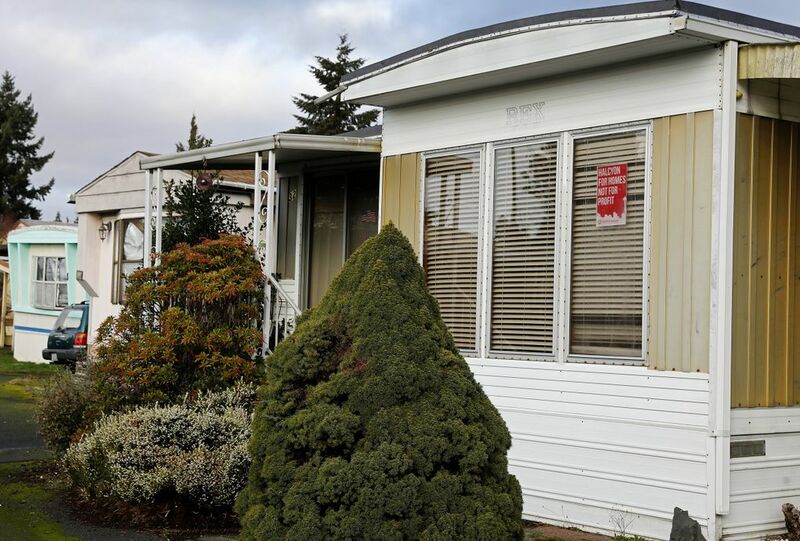 Cities like Tumwater, Lynnwood and Spokane have since created zones to protect mobile homes, with Tumwater winning a legal challenge that reached the 9th U.S. Circuit Court of Appeals. Portland last year moved to rezone 56 mobile-home parks to shield them. With only two remaining in Seattle, this could be the city’s last chance. Councilmember Rob Johnson has said he could consider legislation later this year in his land-use committee.